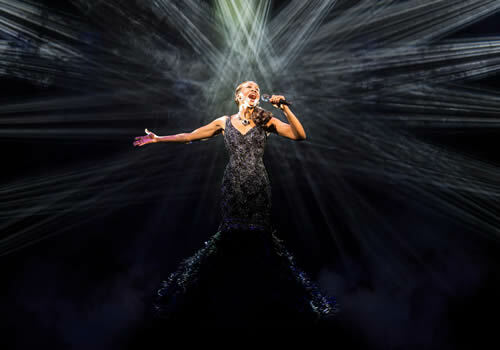 Beverley Knight stars in the return of The Bodyguard, which plays at London's Dominion Theatre. Winning the 2013 award for Best New Musical, The Bodyguard is set to run until January 2017, followed by Broadway musical An American in Paris. 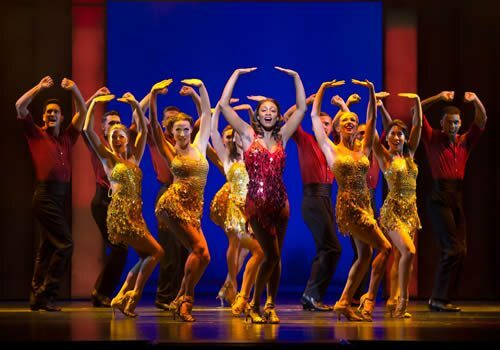 Based on the 1992 Oscar-nominated film starring Whitney Houston and Kevin Costner, Thea Sharrock’s The Bodyguard premiered at the Adelphi Theatre in 2012, with Beverley Knight making her West End debut in the production in 2013. The Bodyguard follows superstar Rachel Marron, who hires former Secret Service agent Frank Farmer to protect herself from a mysterious stalker. Each expects to be in charge of the other, but little do they know that their journey will lead to a breathtakingly romantic climax. Whitney Houston’s greatest hits define the production, including "Queen of the Night", "One Moment in Time", "Saving All My Love", "I Have Nothing", "I Wanna Dance with Somebody" and the ultimate classic ballad, "I Will Always Love You". Since starring in The Bodyguard in 2013, Knight has gone on to become a musical theatre star, featuring in Memphis the Musical and the return of Cats at the London Palladium. Known as the Queen of Soul, Knight is a singer-songwriter and record producer who has sold millions of albums in the UK, winning three MOBO Awards, an Outstanding Achievement Award at the Urban Music Awards and receiving an MBE in 2007 for service the music and charity. Knight stars as Rachel Marron, playing alternate performances with Carole Stennett, and will be joined by Rachel John as Nicki Marron, Mark Holden as Bill Devaney, Alex Andreas as Tony, Dominic Taylor as Sy Spector, Matthew Stathers as Stalker and Glen Fox as Ray Court. The Bodyguard is a West End favourite that plays at the Dominion Theatre until January 7th 2017. Please note: Beverley Knight is scheduled to appear at Tuesday to Friday evening performances as well as both performances on Saturday. Beverley Knight is not scheduled to appear on the following dates: Saturday 1, Tuesday 18 and Friday 28 October; Saturday 12, Tuesday 15 and Tuesday 22 November; Saturday 17, Friday 30 and Saturday 31 December. Call the box office to check availability. The Bodyguard is suitable for ages 12 and up.